The hub of any manufacturing business is located in its warehouse. Every day packages are entering and leaving the warehouse at a steady rate. When it comes to running a warehouse, safety should always be the first priority as it will ensure that everything runs efficiently. 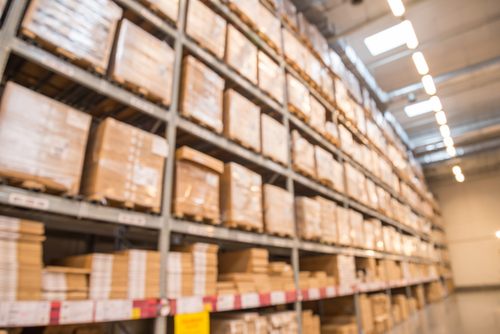 Here are a few safety tips to implement in your warehouse. Organization is key to a productive warehouse. Use shelves to keep merchandise from cluttering the floor of the warehouse. This works for both inventory and safety purposes. Being able to see what you still have in stock will make the process of taking inventory that much easier. A clear pathway must always be available for employees to navigate throughout the day or in the case of an emergency. Lighting should illuminate all parts of the warehouse to avoid accidents from occurring. Dark areas in the warehouse can result in slip-fall accidents or a mishap involving heavy equipment such as a forklift. When your employees cannot see where they are stepping, the chance of a serious injury rise. Add more lighting is yours is not sufficient and replace broken lights immediately. The area that receives the most activity in a warehouse is the loading dock. With all the movement and merchandise being received and shipped out, there is a higher chance for injury if employees are not careful. All boxes and clutter should be removed from the area as soon as possible. It will help with maintaining organization. Be sure that the doors on your loading dock are also in tip-top shape. If not, this can cause problems with shipping, for example, if your doors stick then it will not be possible to load or unload a truck. A broken door can also mean thieves have easier access to your warehouse. The importance of having a fully functioning door for your warehouse is another aspect of your warehouse that can cause potential problems when overlooked. If your door is in need of repair or replacement, Las Vegas business owners should seek help from Western Door and Gate. We offer the commercial services your building needs to remain safe. For more information about our services, peruse our site.